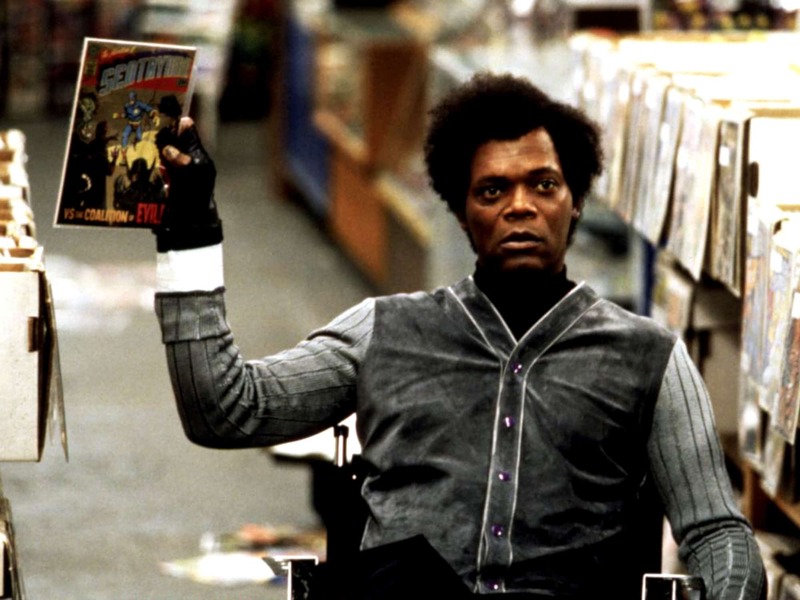 I have fond memories of M. Night Shyamalan’s Unbreakable movie. Starring Bruce Willis as David Dunn and Samuel L. Jackson as Elijah Price/Mr. Glass, the movie weaves together elements of comic books into the movie world. What you watch in Unbreakable is a well-honed movie. 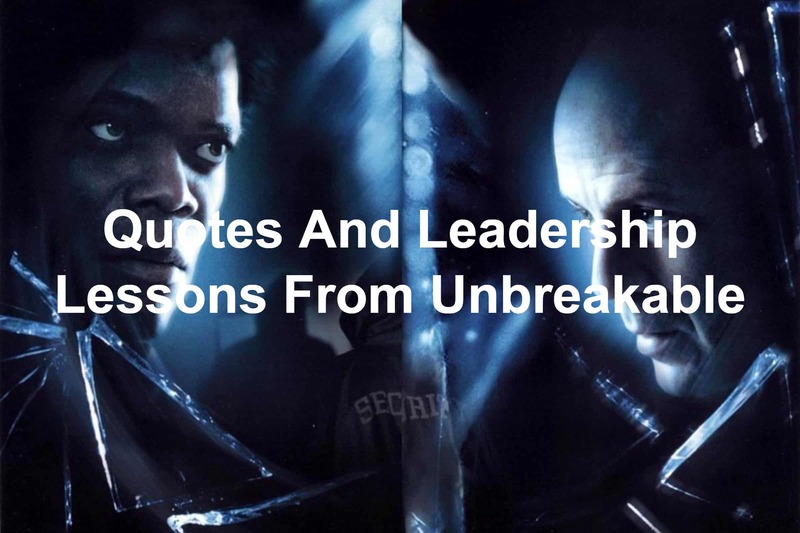 With M. Night Shyamalan’s Split released in theaters earlier this year and Unbreakable’s sequel Glass currently filming (Glass is releasing January 18th, 2019), I thought this would be the perfect time to share leadership lessons from Unbreakable. Elijah Price was born in the changing room of a woman’s clothing store. His mother, Molly Price (Charlayne Woodard), couldn’t stop Elijah’s crying. In walks a doctor and Molly asks the doctor if Elijah was alright. She knew she didn’t have all the answers. She was a first-time mother and was concerned about her child’s crying. So, she asked. The answer she received was terrifying. Elijah had multiple broken bones. The expert told the truth but the truth also hurt. No matter if you’re in the early stages of your leadership journey or you’re a well-seasoned leader, you won’t have all the answers. There will be situations where you don’t know what to do next. When you encounter situations where you don’t know what to do, consult an expert. Call in business consultants who have helped turn businesses around or seek out a business coach who can help you find answers to your business challenges. Don’t go at leadership alone. Find experts to walk with you. David Dunn was the lone survivor of the train crash of Eastrail Train #177. He walked away virtually unharmed. After he awoke in a hospital bed, he was informed he was the only survivor of the train wreck. He, alone, would be the one to walk away. As he walked down the hospital hallway to his estranged wife and child, you could see the weight on his shoulders. His face was sullen. He was deep in thought. And he wasn’t sure what was happening. He had to carry the weight of being the sole survivor while walking down a hallway filled with the families mourning the loss of their loved ones. Much like David’s experience, leadership is heavy. You’re going to experience highs and lows. Those highs will come at the expense of other businesses or having to let go of underperforming team members. Know leadership isn’t all highs. Sometimes you’ll feel like the weight of the world is on your shoulders. After the train derailment and funeral for the victims of the crash, David walked out to his car and found a letter under his windshield wiper. The letter asked David how many days he’d been sick. David had to think this over. He went to his job and asked to know how many sick days he’d taken. The answer was zero. Then he asked his wife how many times he’d been sick, she couldn’t remember a single day. You have strengths that come naturally to you. Because of this, you can easily lose sight of your strengths. Keep track of what you’re good at. Discover your strengths. Ask around. People will begin telling you things you already know but don’t realize. Take heed of what they say and begin to focus on those strengths. Audrey Dunn (Robin Wright Penn) couldn’t recall a time David had been sick or injured when David asked. This caused David to ponder the meaning of his ability to resist sickness and injury. As you begin to uncover your leadership strengths, you have to ask yourself what it means. You have to dig into those strengths and why you have been given those strengths. Don’t take your strengths for granted. You’ve been given them for a reason. No more sitting in this room. I’ve let this go on too long. Because of Elijah’s disease, he had osteogenesis imperfecta (or brittle bone disease as it’s more commonly referred to), he feared going outside. He didn’t want to break more bones. Molly had let Elijah sit in the house watching television. However, she realized there was a problem. Her son was giving into fear and not living life. She had to do something. And she told Elijah he couldn’t sit in the house anymore. He had to do something. As you lead others, you may find yourself letting things slide. Shoddy work, people coming in late, unexcused absences. Slowly but surely, these things start to happen if you’re not paying attention. Once you realize these things are happening, you have a choice. I urge you to be like Molly Price. Encourage your team members to get back into shape. To show up on time. To do quality work. And to be at the office when required. Molly knew her son. She knew she could get him away from the television with the right motivation. Molly told Elijah she had purchased a gift for him. The gift was on a park bench across the street from their apartment. All he had to do to get the gift was to leave the house, cross the street, and open the present. Elijah shared his fears with his mother. She reaffirmed him that he would be okay. He only needed to move. When Elijah reached the bench, he discovered the wrapped gift. Inside was a glorious comic book he could read. And every day he was willing to cross the street, there would be another one waiting for him. Great leaders know they have to get to know their team members. They know they need to discover what truly motivates them to do great work. Is it a generous bonus? Do they enjoy the movies and date night with their spouse? Do they have a sweet tooth? Learn what motivates your team. Then begin showing your appreciation by giving these motivators to your team. The beginning of Unbreakable broke my heart. David is riding the Eastrail Train #177 when an attractive, young woman approaches his seat and asks if the seat is available. David says yes, as he begins to remove his wedding ring. He was willing to leave his marriage and commit adultery with a woman he’d just met. Later in Unbreakable, you learn David and Molly’s marriage was on the rocks. David was returning from New York looking for work when the train derailed. He was ready to move out of the house and end the marriage. Audrey then asks David if he’d been with anyone since their marriage troubles began. He answered truthfully (as far as we know) that he hadn’t. He’d still upheld his marriage vows. Audrey broke down in tears. Then asked a difficult question to David. Would he be willing to start out their relationship over? To give them another chance? David agreed and by the end of Unbreakable, you see the family doing much better. They started over. 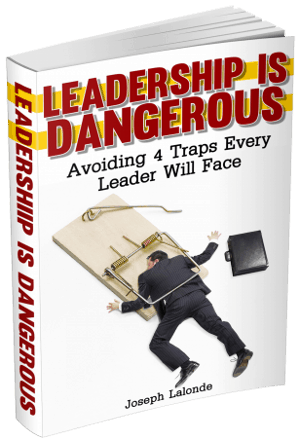 Leaders will experience troubles in their leadership at home and in the office. Some days you’ll feel like there’s no hope. You can’t go on and the relationships you have must end. Let me encourage you to not give up so easily on your relationships. You can start over again. You can choose to forgive and start over. Give your relationships a chance. You’ll be better for it. David was a security guard on a college campus. During a game, he received a call on his walkie-talkie that there was someone at the gate with a counterfeit ticket and the man said he knew David. This man turned out to be Elijah Price/Mr. Glass. He’d wanted to talk more with David. As they were walking, David observed a man in a camouflaged jacket. He stops and asks the guard at the door to begin doing pat downs on the attendees. Once the guard begins patting down attendees, the man in the camouflaged jacket gets out of the line and leaves the event. David observed something about the man. He didn’t seem right and David knew this. So he said something. You’ll encounter hundreds and thousands of people during your tenure as a leader. You will observe things and situations that make you uncomfortable or give you pause. Listen to those observations. Great leaders observe and take note of small inconsistencies and then act on them. Be willing to observe and then act. Elijah Price/Mr. Glass believed David had special abilities. Since David was the only one to walk away from the train derailment, Elijah believed he had unbreakable bones and strength. David began to test his abilities by lifting weights in his basement. David’s son, Joseph Dunn (Spencer Treat Clark), was helping David by adding weight to the weight bench. To start, Joseph put 250lbs of weight on the barbell and David easily lifted the weight. Yet when David discovered how much weight Joseph had put on the barbell, he was furious. He knew he could have been hurt. Joseph apologized and said he’d take off weight. Instead, Joseph added more weight. He increased the weight to 270lbs. David was able to lift that as well. When David learned of what Joseph had done this time, he wasn’t as angry. Instead, he said let’s add more weight. Eventually, they topped out at 350lbs. Testing your abilities will push you to uncomfortable places. You’ll feel like you may fail. Yet you won’t know the full extent of your abilities unless you test them and push them to their limits. Don’t be afraid of testing your abilities. When you do, you’ll learn what you truly can do. As David and Joseph were testing the limits of his strength, they ran out of weights they could put on the barbell. This required them to look around for alternate weights they could use. Eventually, they found paint cans they could place on the end of the barbell. This would add additional weight even though they had no more weight plates. Leaders will often find themselves without all of the resources they need to get the job done. They will have to look around and see what else can be used. These tools may not be the perfect fit. Yet they will work. Use what’s around you. Don’t think you can’t get things done because you don’t have the right tools. Make the right tools. David began to believe he may have superpowers. He believed he could touch people and see what they had done. As he began to grow in the belief of his powers, he began testing and developing his strengths. He went to the crowded stadium and walked through the crowd. As he went by members of the crowd, he bumped into and touched different people. Eventually, he bumped into a man with a blue jacket (M. Night Shyamalan) and saw the man pulling drugs out of a restroom trash receptacle. Later, he goes into another crowded venue. He does the same thing. Only this time he’s able to grasp touching people allows him to see things they’d done in the past. Your strengths aren’t fully developed the day you’re born. Or the day you become a leader. Your strengths need to be worked on. You need to develop your strengths. Find ways to build and develop your strengths. Keep pushing the boundaries of what you think you can do. Discover the extent of your strengths. It’s hard for many to believe there are extraordinary things inside themselves as well as others. This quote by Mr. Glass sums up the lives of almost everyone who has lived. People find it hard to believe they’re special. That they can accomplish something great in the world. Harder still is to believe other people are special. As a leader, it’s your duty to discover what extraordinary things lay buried within you. And the extraordinary things buried within the people you come in contact with on a regular basis. You can’t let bad things happen to good people, right? David’s son Joseph realized with great power comes great responsibility. As a leader, you have the same responsibility. You have to help those you lead succeed and grow. Hopefully into future servant leaders. Don’t neglect your responsibility because of your position. That position means you have the ability, and responsibility, to help those in a weaker position than yours. You’re led to believe early in Unbreakable that David was injured in a car accident and had to stop playing football. Towards the tail end of Unbreakable, you learn David wasn’t injured in the crash. Instead, he sacrificed his football career for love. Audrey didn’t enjoy football. She believed it was barbaric and violent. If David had continued to play, she would have left him. However, David wanted his relationship to succeed more than to play football. So he sacrificed. Great leaders know they will have to sacrifice things for their families and for the teams they lead. They will have to give up good things for great things. Be willing to sacrifice the good for the great (but don’t sacrifice your family. That is sacred). David shared with Elijah that he had almost died at one point. He almost drowned in the school pool. This put a damper on Elijah’s theory of David being unbreakable. It wasn’t until Elijah was being wheeled out of a comic shop and knocked over a rack of comic books that he noticed the obvious. Everyone has a weakness. Even superheroes. Superman’s weakness is kryptonite. Green Lantern’s weakness is the color yellow. David’s weakness was water. Once Elijah stopped to think about this, it all made sense. Because you’re in the thick of things in your business, you can easily miss out on the obvious issues plaguing your organization. Be on the lookout for obvious things that can cause you trouble. Are there processes in the workflow that are causing issues but you can’t see them because they’re used every day? Could it be the way the assembly line is arranged causes a slowdown but it’s always been that way? Or maybe you haven’t said no to large expenditures because you feel like they’re needed to get the job done? Be aware you’re more than likely missing obvious issues in your organization. You can notice these things with a little observation. The more David realizes he has power, the more he wonders what he is supposed to do with his life. He soon discovers he was created to protect those who can’t protect themselves. Do you know what you’re supposed to do with your life? Seek out wise counsel from people in your life, look at what you’ve done in the past and enjoyed, try new things. Strive to learn what you were put on this earth to do. Elijah Price/Mr. Glass longed to find similar to him. While Mr. Glass was extremely fragile, he knew there had to be someone on the opposite side of the spectrum. Someone strong. While you might think this person is extremely different from Mr. Glass, he’s also very similar. Their bodies are unique and react to their environment differently than the average person. Know you’re not alone as a leader. There are other leaders out there. Some with similar strengths as you, some with different strengths. Find these other leaders. Become friends with them (unlike Mr. Glass’ attempt to find an enemy). Build relationships and bridges. You’re not alone. At least you don’t have to be. Question: Have you seen Unbreakable? If you have, did you take away any leadership lessons from Unbreakable? If you haven’t seen Unbreakable, what leadership lessons from Unbreakable that I shared resonated with you? Let me know in the comment section below. If you’d like to purchase or watch Unbreakable, you can purchase the movie at Amazon.